Definition at line 79 of file llinventorybridge.h. 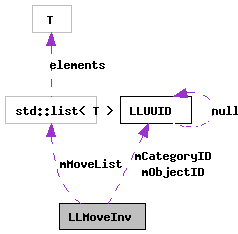 Referenced by LLFolderBridge::dragItemIntoFolder(), move_inv_category_world_to_agent(), and move_task_inventory_callback(). Definition at line 82 of file llinventorybridge.h. Definition at line 83 of file llinventorybridge.h. Definition at line 81 of file llinventorybridge.h. Definition at line 85 of file llinventorybridge.h.